As our students grow in the nurture and admonition of the Lord, their development in and out of the classroom is paramount. 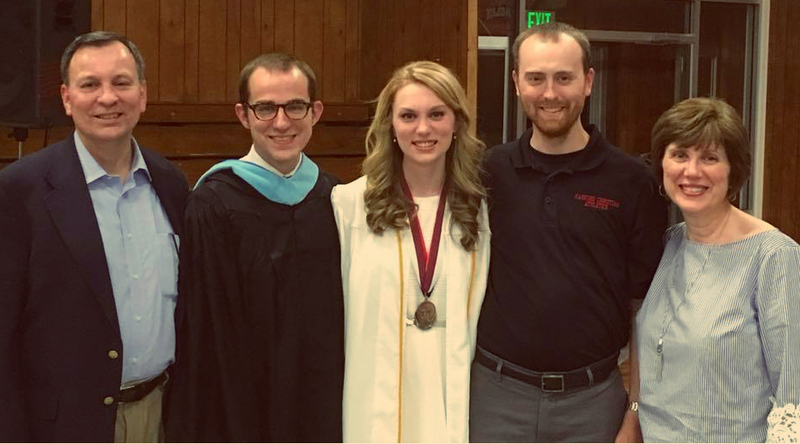 Much like athletics, the fine arts offer MACS students opportunities to expand their talents to serve their creator through the precise practices demanded by the various disciplines. The Jr. and Sr. high verses are listed in the AACS manual Appendix, pgs. 75-82. Ruth with her husband, sons, and daughter! Ruth Peters stepped into the role of MACS Fine Arts Director in the summer of 2017 following the tremendous amount of time and energy provided by Alyssa Parrish until that point. Ruth's experience in both KCEA and ODACS fine arts competitions as well as Christian education throughout her career will be invaluable as we push forward as an organization. 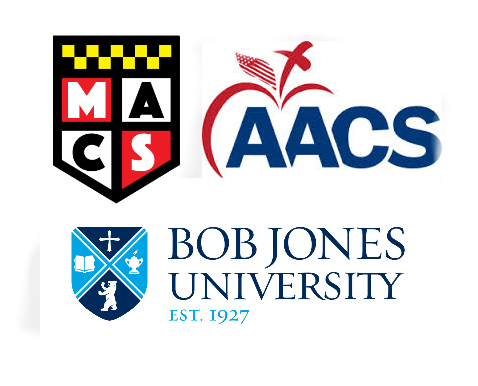 The AACS National Competition has been organized to provide a challenge toward excellence among the students of fundamental Christian schools across America. This competition will allow Christian young people to develop disciplined skills in various areas of proficiency so that they might better serve the Lord throughout their lives. Certainly a worthy goal of Christian education is to follow the example of our Saviour who “increased in wisdom and stature, and in favor with God and man” (Luke 2:52). Only Senior High students (grades 9–12) who have won or placed in an AACS certified state or regional competition may participate in the National Competition...Students will be allowed to compete only if their school is currently a member of a state association or is an associate-member school which is in good standing with the AACS...Competition is divided into five areas (Bible, Music, Speech, Art, and Academics). Wording directly from the American Association of Christian Schools website.